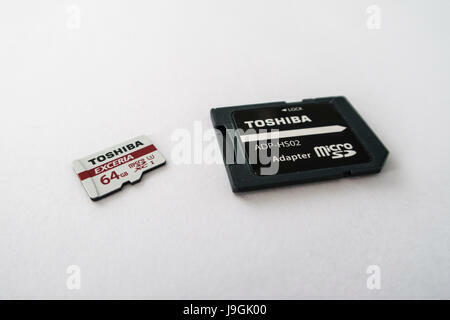 Toshiba Exceria microSD XC memory card with a capacity of 64GB, and a microSD to SD card adapter on white background. 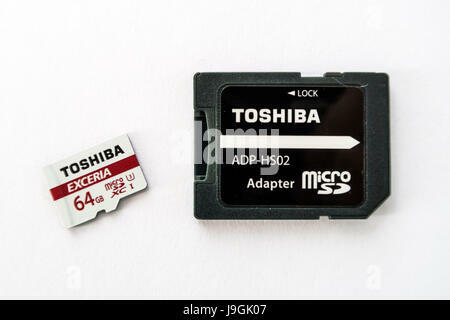 Toshiba Exceria microSD XC memory card with a capacity of 64GB on white background. 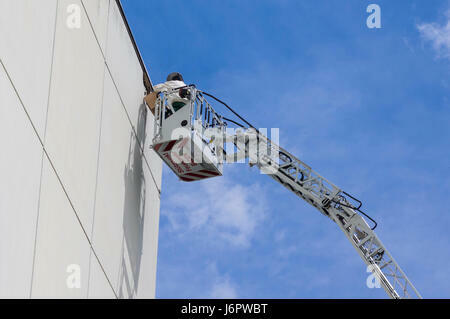 Beekeeper on an aerial platform capturing a bee swarm on a wall. Many bees flying around. 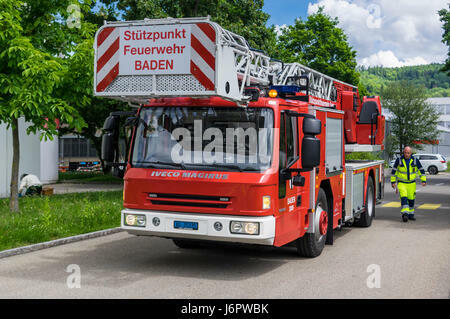 Iveco Magirus 160E30 turntable ladder truck of a Swiss fire brigade. Ladder and platform retracted. 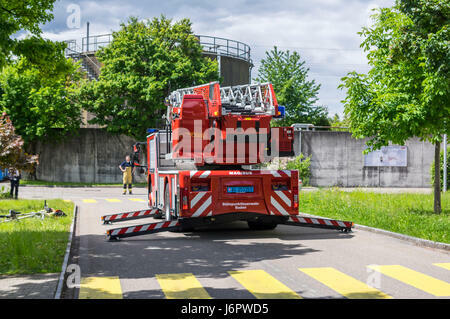 Iveco Magirus 160E30 turntable ladder truck of a Swiss fire brigade. Ladder and platform retracted. Fireman standing next to the vehicle. 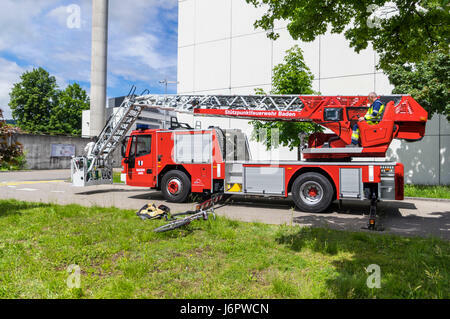 Side view of an Iveco Magirus 160E30 turntable ladder truck of a Swiss fire brigade. Outriggers/jacks extended, but ladder still retracted. 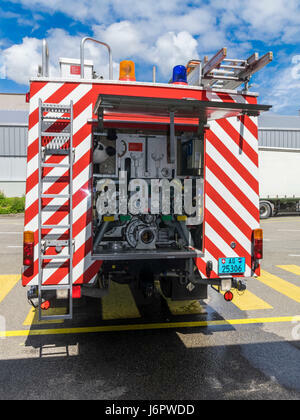 Rear view of an Iveco Magirus 160E30 turntable ladder truck of a Swiss fire brigade. Outriggers/jacks extended, but ladder still retracted. 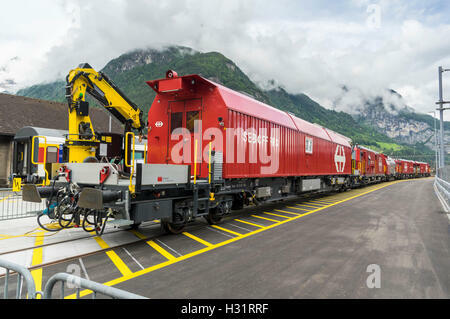 Electric locomotive SBB Ce 6/8 II 'Krokodil' on a transfer table at a railway depot of SBB, the Swiss Federal Railways in Erstfeld, Switzerland. 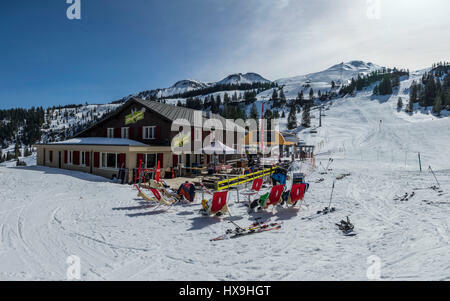 Restaurant Klingenstock in winter, located just next to alpine skiing slopes, for skiers who enjoy a break and outside eating. Stoos, Switzerland. 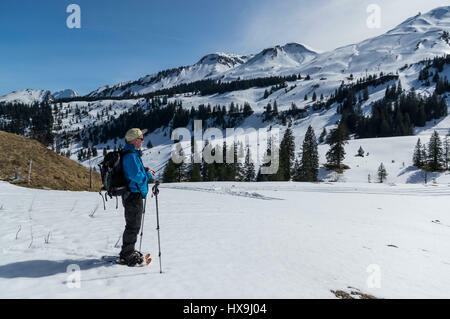 Middle-aged male snowshoe hiker in the Swiss Alps, enjoying the sun and panorama of the surrounding mountains. 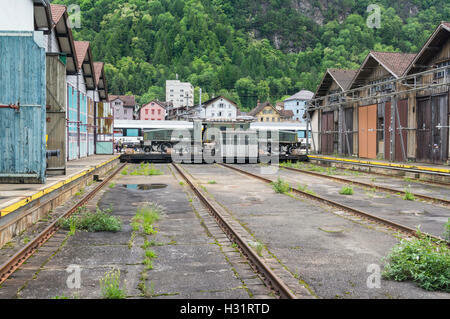 Stoos, Canton of Schwyz, Switzerland. 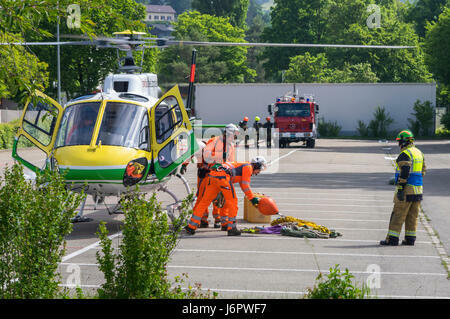 Aérospatiale/Eurocopter AS350 B3 'Écureuil' (Airbus Helicopters H125) on a parking lot, being prepared by personnel for underslung cargo transport. Aérospatiale/Eurocopter AS350 B3 'Écureuil' (Airbus Helicopters H125) landed on a parking lot, ready for cargo transport. 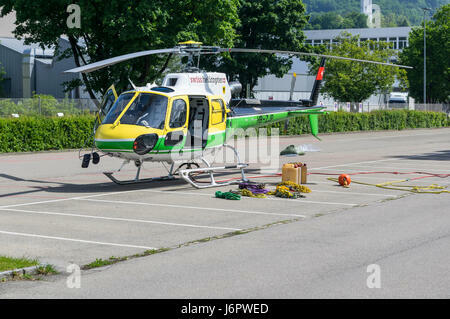 Swiss Helicopter AG livery. 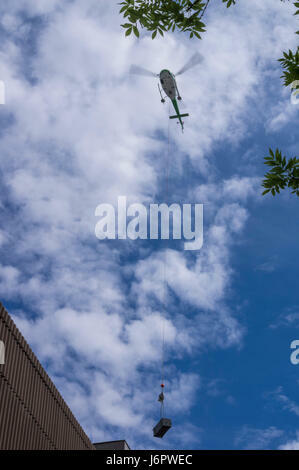 Aérospatiale/Eurocopter AS350 B3 'Écureuil' (Airbus Helicopters H125) in the air, seen from below, transporting cargo underslung on a longline. Aérospatiale/Eurocopter AS350 B3 'Écureuil' (Airbus Helicopters H125) landing on a parking lot. 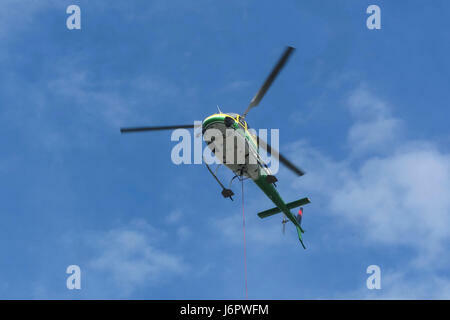 Helicopter operated by Swiss Helicopter AG. 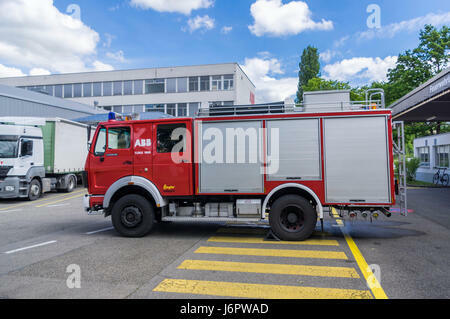 Mercedes Benz 1428AF water tender of a Swiss fire brigade. Rear view of with water pump controls and valves. 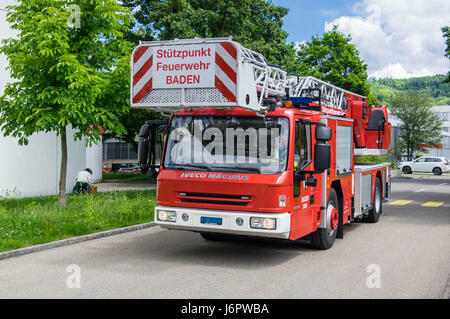 Mercedes Benz 1428AF water tender of a Swiss fire brigade. Truck built 1988 by Mercedes Benz and customized for firefighting use by Vogt and Ziegler. 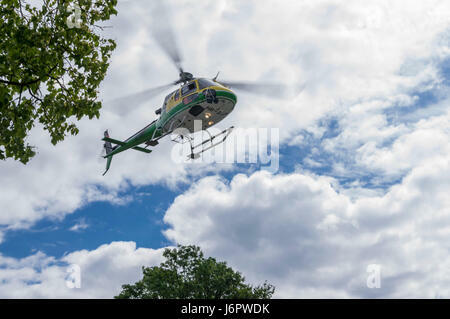 Airbus Helicopters (Aérospatiale/Eurocopter) AS350 B3 'Écureuil' in the air, seen from below. 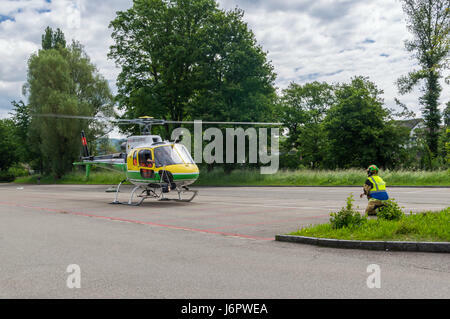 Registration HB-ZJP, operated by Swiss Helicopter AG. Aérospatiale/Eurocopter AS350 B3 'Écureuil' (Airbus Helicopters H125) in the air, seen from below. Reg. 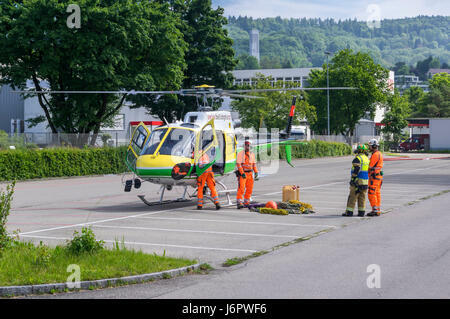 HB-ZJP, operated by Swiss Helicopter AG. 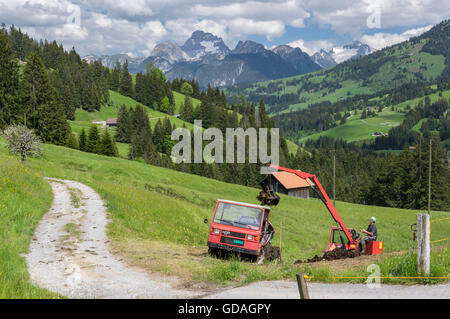 Farmer working on a meadow in the Swiss Alps, loading manure onto his small Aebi TP45 multipurpose transporter. Saanenmöser, Switzerland. 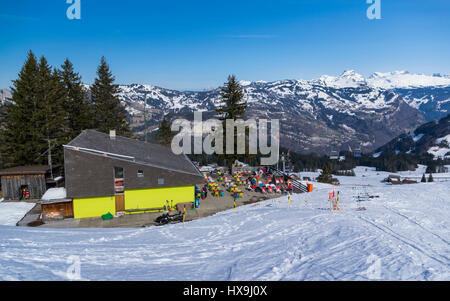 Panorama of snow-covered peaks and green valleys in the Swiss Alps, seen from Rossstock (2461m) in Southern direction. 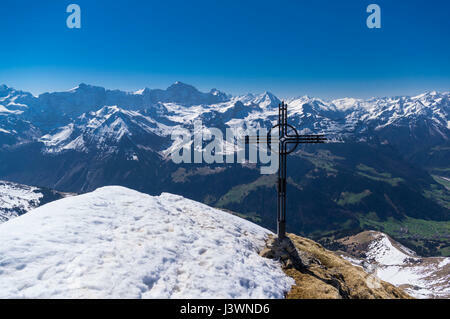 Cross on the snow-covered summit of Rossstock (2461m). 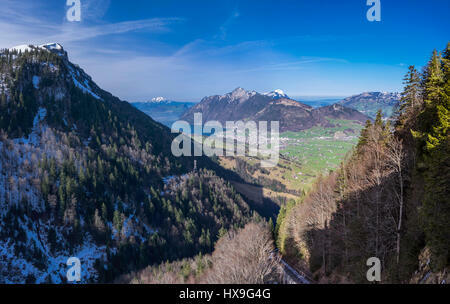 In the background panorama of many summits of the Swiss Alps. Canton of Uri, Switzerland. 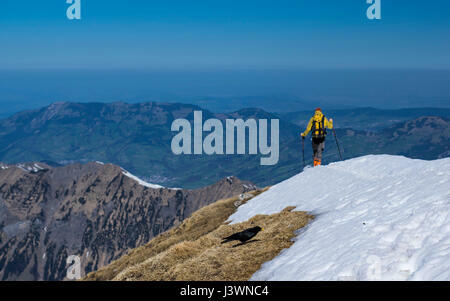 Hiker descending on the snow from Rossstock (2461m). 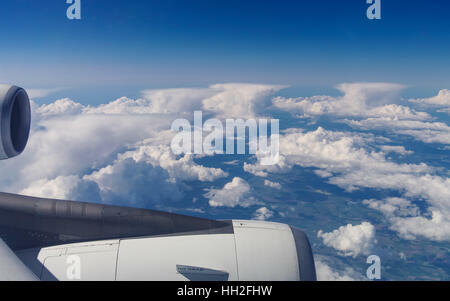 In the background alpine foothills and flat Swiss plateau ('Mittelland'). 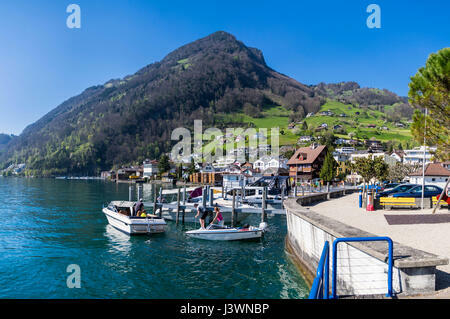 View of Rigi mountain from the village of Gersau, situated beneath the mountains on the shore of Lake Lucerne (Vierwaldstättersee) in Switzerland. 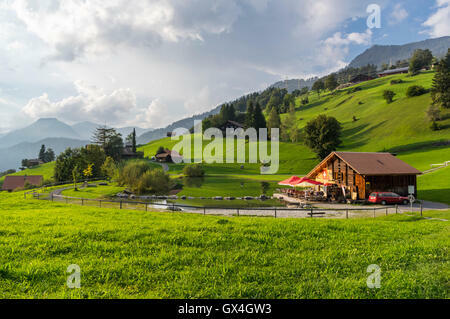 View of Rigi mountain from the village of Gersau, situated on the shore of Lake Lucerne (Vierwaldstättersee) in Switzerland. Leisure boats mooring. 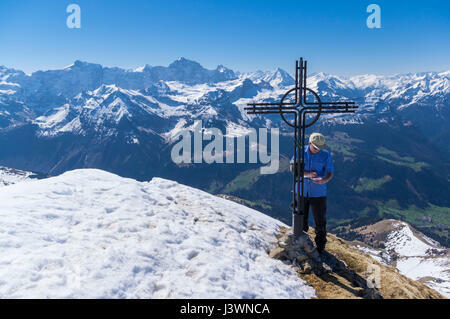 Male hiker standing next to a cross on the summit of Rossstock (2461m) in spring, writing his name into the summit book. Canton of Uri, Switzerland. 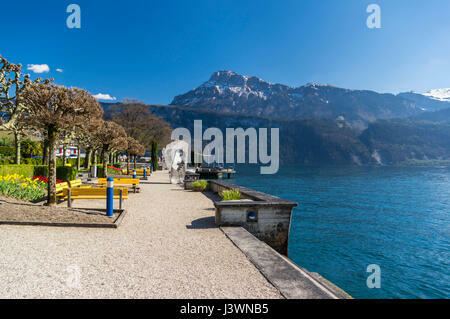 View of Lake Lucerne (Vierwaldstättersee) and the Swiss Alps including Niderbauen peak from the waterfront park of Gersau, Switzerland. 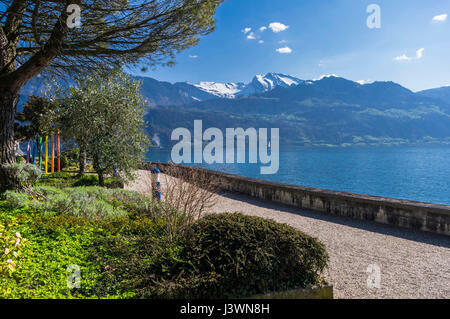 View of Lake Lucerne (Vierwaldstättersee) and the Swiss Alps from the waterfront park of Gersau, Switzerland, on a sunny spring day. 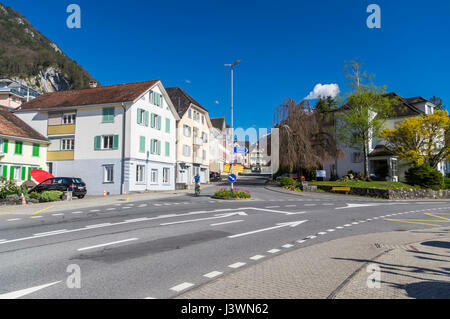 View of buildings and an intersection in the center of Gersau, a village in the canton of Schwyz, Switzerland. 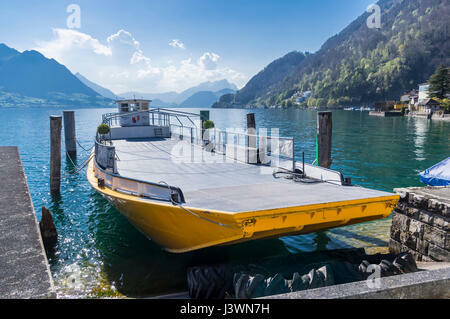 Self-propelled barge 'Republik', built in 1908, mooring in Gersau, Switzerland. This type of flat-bottomed boats is locally referred to as 'Nauen'. 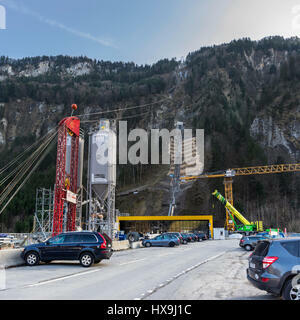 Construction site of the new funicular from Schlattli to Stoos, Switzerland. 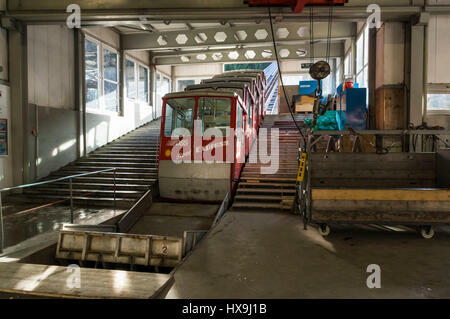 The funicular has a maximum gradient of 110% and opens end of 2017. 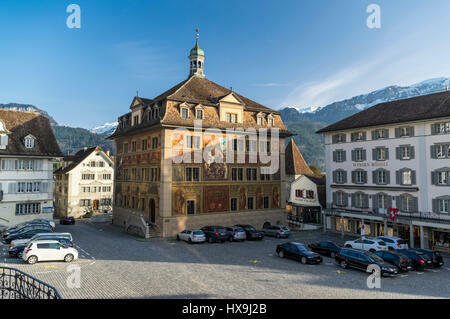 Town hall of Schwyz, capital of the Swiss canton of Schwyz, featuring an elaborate mural of the battle of Morgarten (1315). 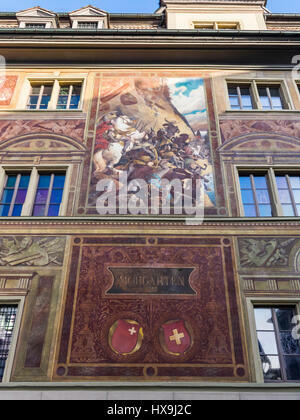 Mural on the town hall of Schwyz, Switzerland, of the battle of Morgarten (1315) between the Swiss confederates and the house of Habsburg/Austria. 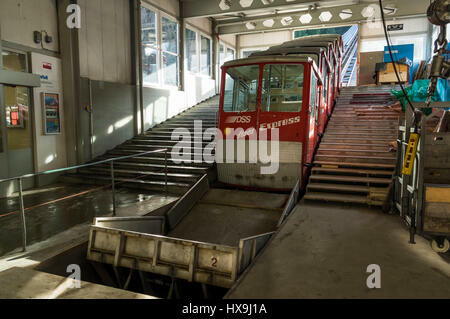 Red car of the old Schlattli-Stoos funicular in the valley station, ready for boarding. 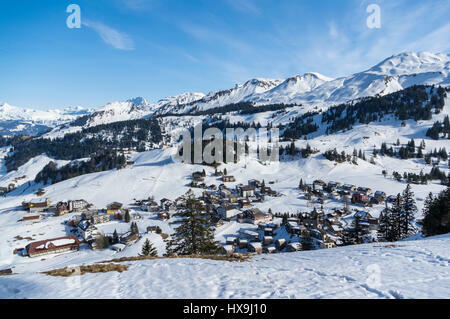 Schlattli, Canton of Schwyz, Central Switzerland. 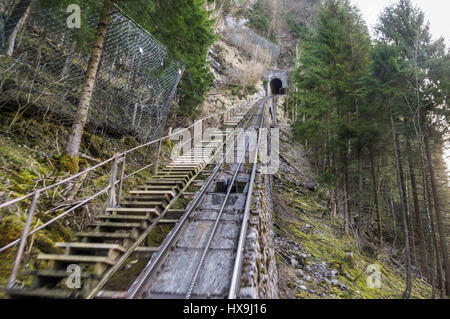 Railway tracks of the old Schlattli-Stoos funicular as seen during the ride. Pulling rope between the tracks. 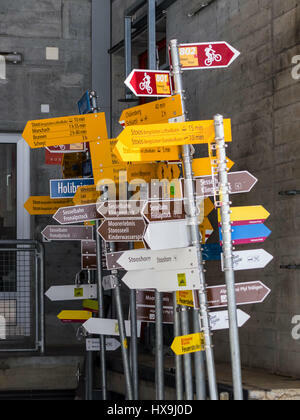 Schlattli, Central Swwitzerland. 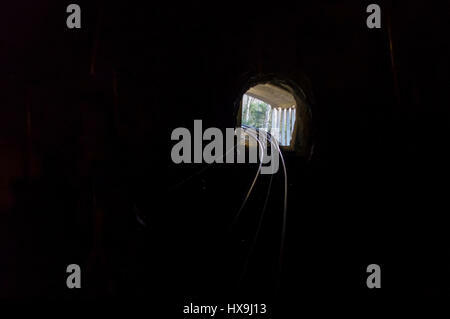 Dark, not illuminated railway tunnel of the old steep funicular between Schlattli and Stoos, Central Switzerland. 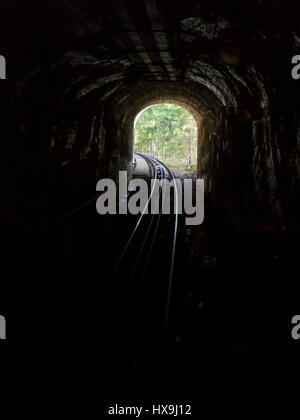 Light at the end of the tunnel. 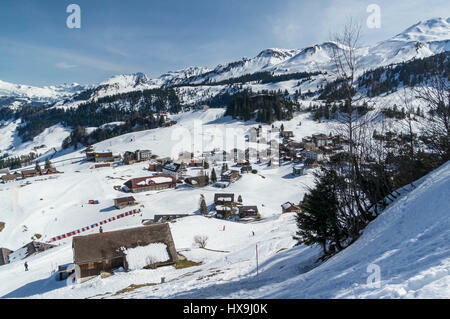 Stoos, Canton of Schwyz, Switzerland, a village and winter sports area in the Swiss Alps in winter. 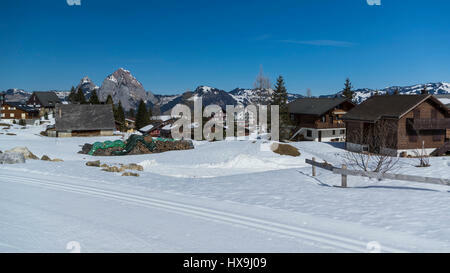 Restaurant Welesch with a large terrace, situated just next to a skiing slope in Stoos, Schwyz, Switzerland. Sunny day, mountain backdrop. 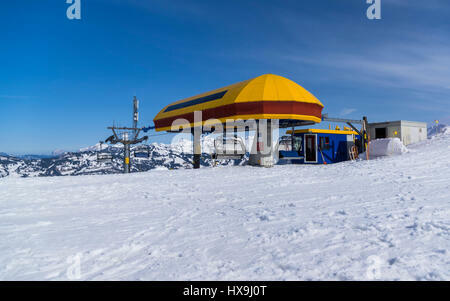 Top station of a chairlift in winter, built by Garaventa, located in the Stoos winter sports area, Switzerland, in the Swiss Alps. Red funicular and yellow cable car arriving at their respective top stations in Stoos, a mountain village in central Switzerland. 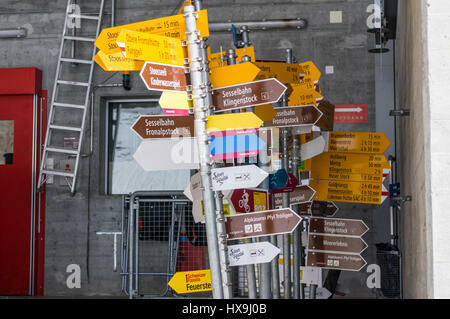 Many Swiss hiking signposts with overlapping signs stored for later reuse. Winter landscape on a sunny day. 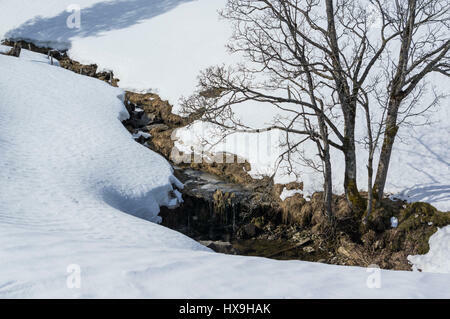 Small stream lined by deciduous trees surrounded by snow-covered meadows. Central Switzerland. 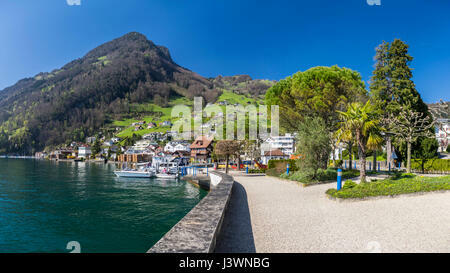 Panoramic view of the Rigi mountain range and the town of Brunnen beneath it. Canton of Schwyz, Central Switzerland. 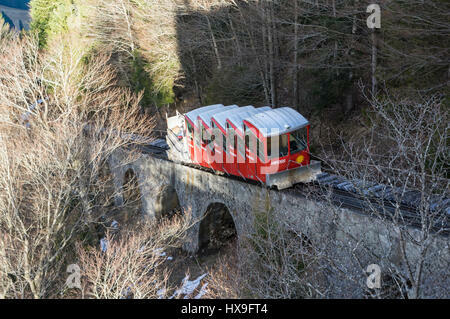 Red car of the old Schlattli-Stoos funicular approaching its top station on a steep viaduct. Stoos, Schwyz, Switzerland. 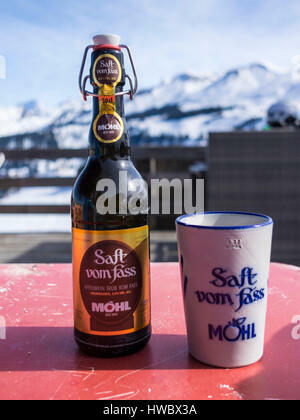 Bottle of Möhl Apfelwein 'Saft vom Fass', a traditional Swiss cider, with a ceramic beaker. 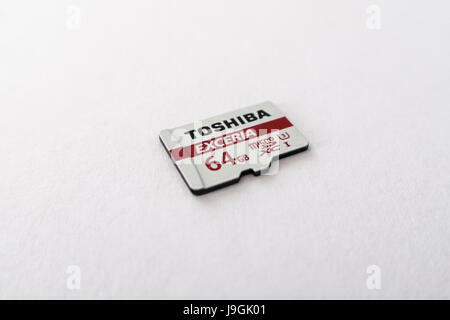 Alpine background. 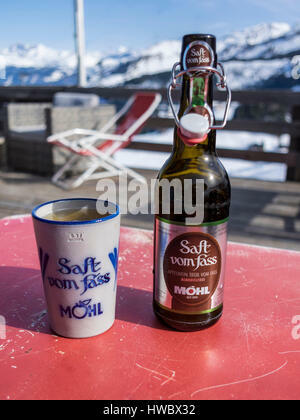 Bottle of non-alcoholic Möhl Apfelwein 'Saft vom Fass', a traditional Swiss cider, with a ceramic beaker. 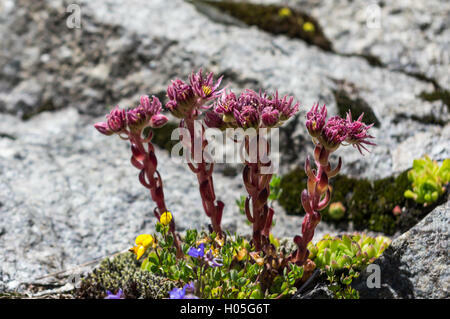 Alpine background. 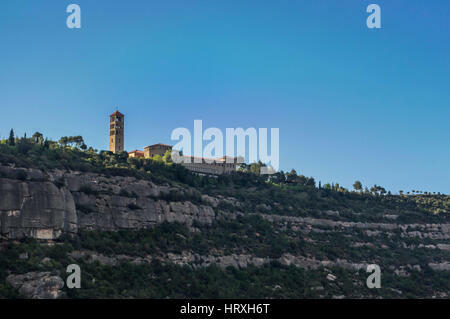 Benedictine nuns' monastery of Sant Benet de Montserrat. View from below of the church and buildings. 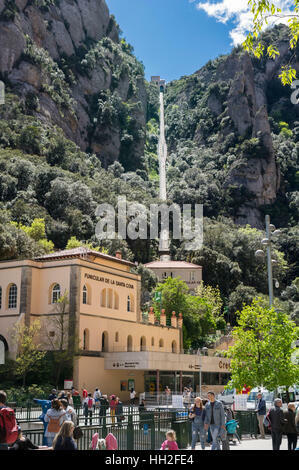 Monistrol de Montserrat, Catalonia, Spain. 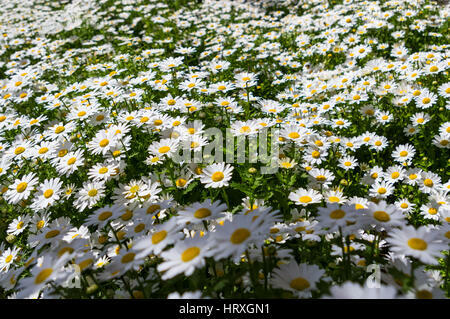 Field of ox-eye daisy (Leucanthemum vulgare) flowers filling the whole frame. 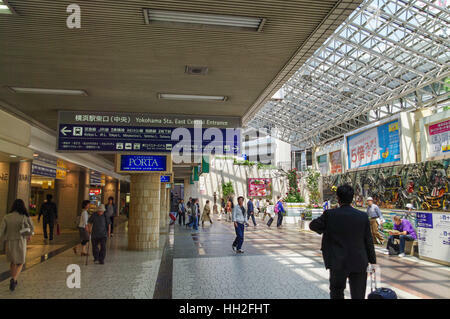 Eastern concourse and entrance of Yokohama Train Station, Yokohama, Japan. 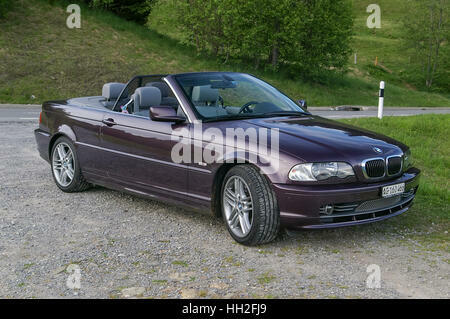 BMW 3 series convertible (model E46) with retracted roof in violet (eggplant) color. 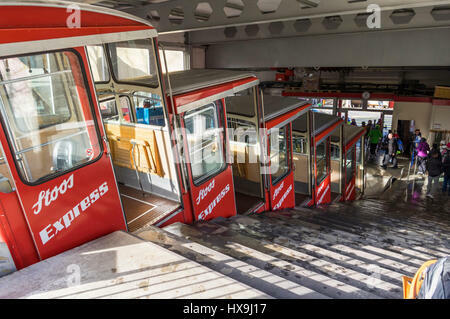 Funicular de Sant Joan in Montserrat, Catalonia, Spain. 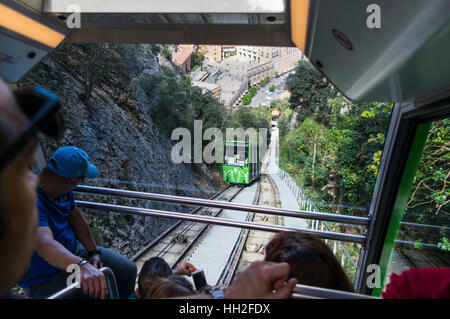 Ride in the funicular de Sant Joan in Montserrat, Catalonia, Spain. Looking down to the passing track with the second wagon. 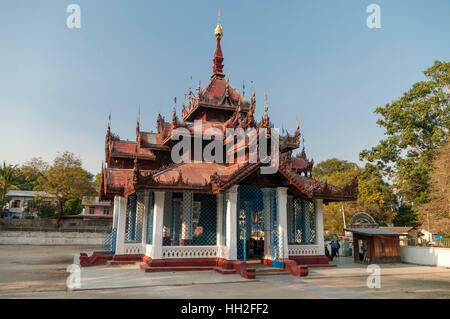 Pavilion housing Mingun bell in Mandalay Region, Myanmar (Burma). 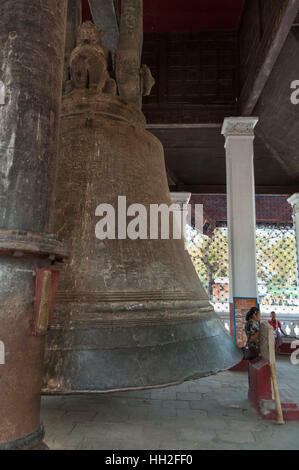 Mingun bell in Mandalay Region, Myanmar (Burma), one of the heaviest functioning bells in the world. 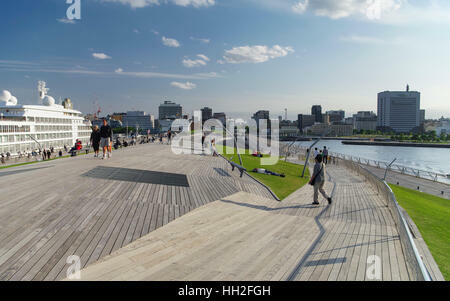 Panoramic view of Osanbashi Pier in Yokohama, Japan. 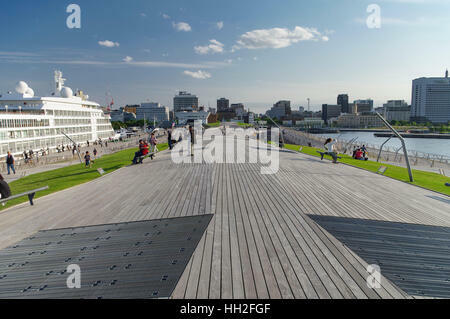 Osanbashi Pier in Yokohama, Japan. 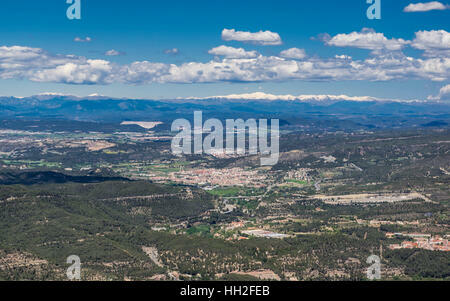 View from Montserrat to the town of Sant Vicenç de Castellet and the snow-capped Pyrenees mountains. Catalonia, Spain. 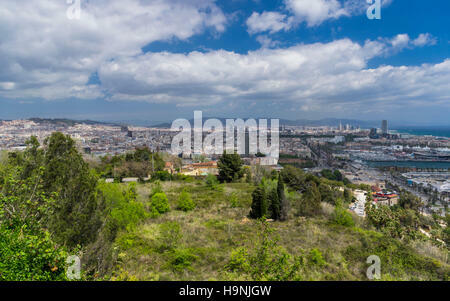 View from Montserrat mountains to the town of Olesa de Montserrat. 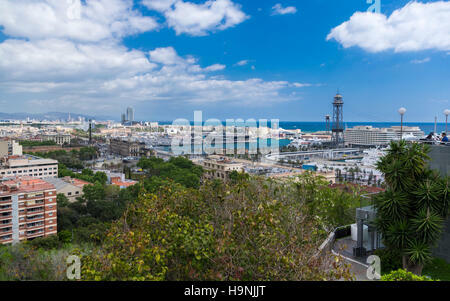 Province of Barcelona, Catalonia, Spain. 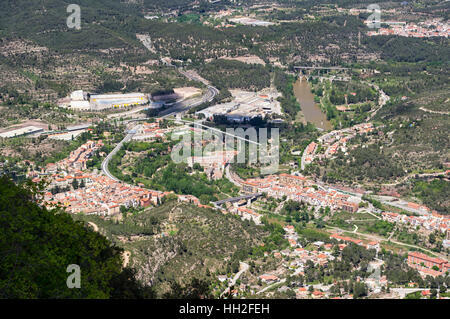 Town of Monistrol de Montserrat seen from above, with bridges over Llobregat river. 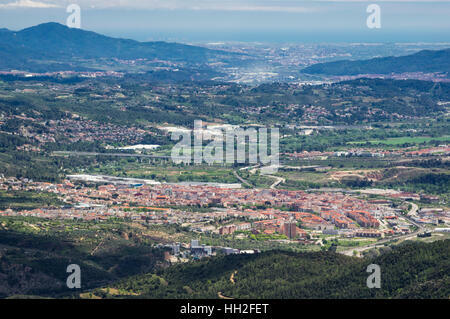 Province of Barcelona, Catalonia, Spain. 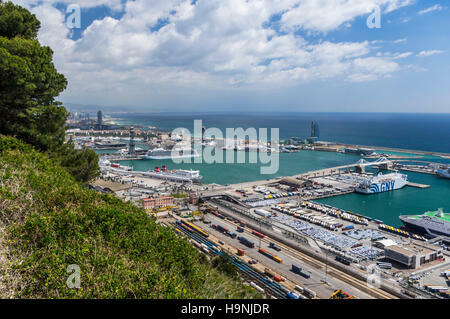 View of the port of Barcelona, Catalonia, Spain, from above. 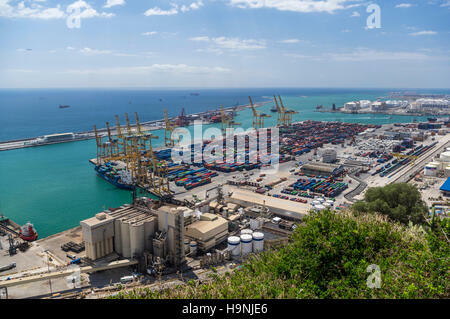 View of the container terminal of the port of Barcelona, Catalonia, Spain, from above. 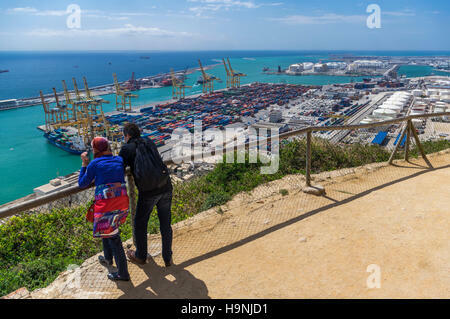 Couple looking at the container terminal of the port of Barcelona, Catalonia, Spain, from above. 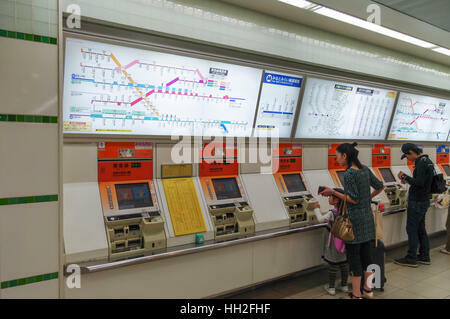 Passengers buying tickets for the Minatomirai Line subway at ticket vending machines. Yokohama, Japan. 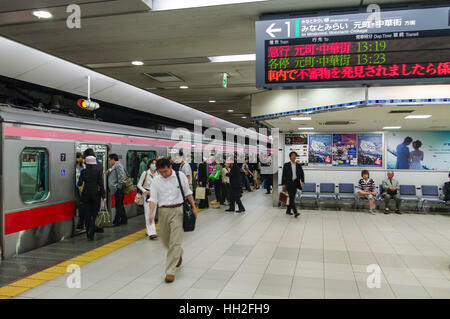 Passengers in Yokohama station boarding a metro train of the Minatomirai subway line. 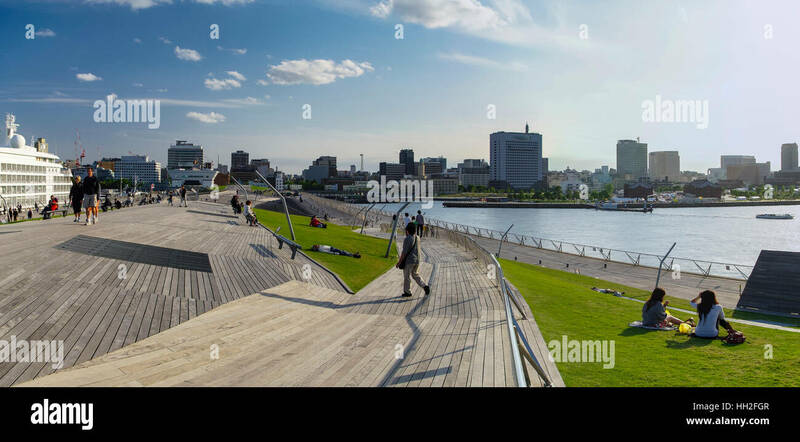 Yokohama, Japan. 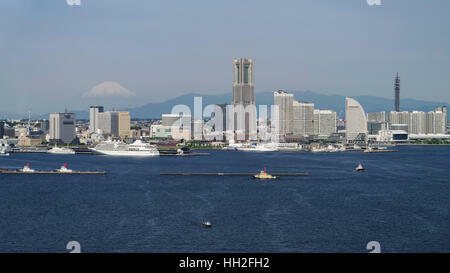 Skyline of Yokohama with Mount Fuji in the background. 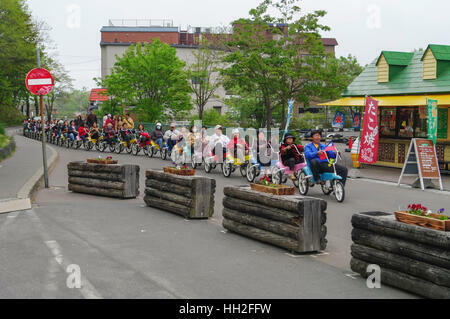 Group of Taiwanese tourists on trikes coupled together like a conga line. Onuma, Hokkaido, Japan. 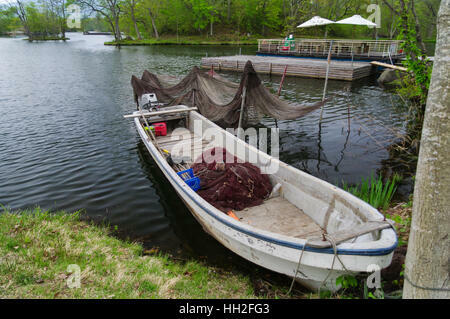 Small fishing boat with nets on the shore of lake Onuma, Hokkaido, Japan. 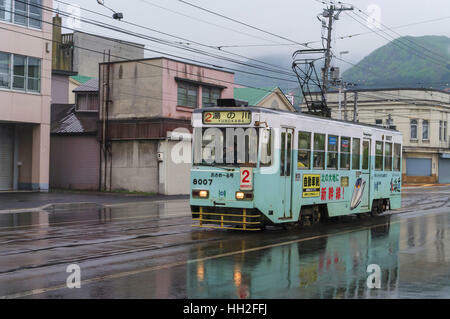 Streetcar of the Hakodate Tram running on Kaikyo Dori street on a rainy day. 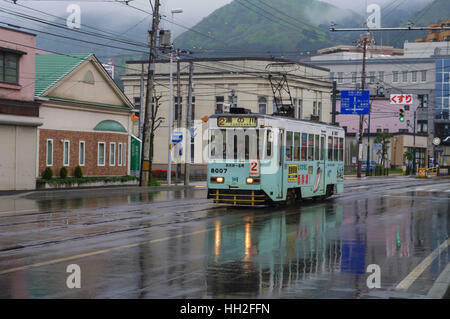 Hakodate, Hokkaido, Japan. 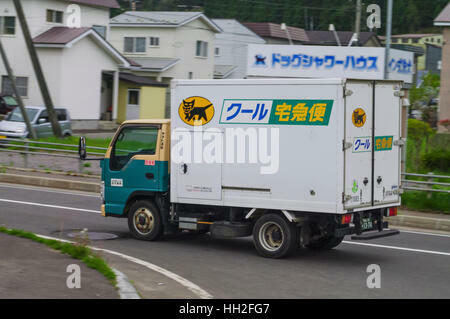 Small Yamato Transport truck featuring the company's 'kuro neko' (black cat) logo. Hokkaido, Japan. 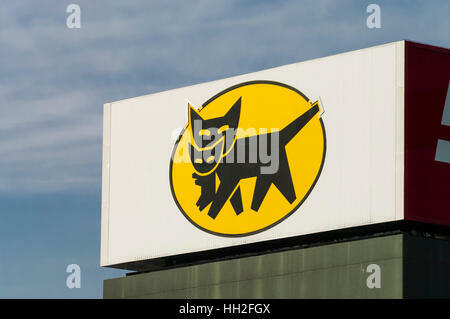 'Kuro neko' logo of Yamato Transport Co., Ltd. of Japan: a yellow oval with a black cat carrying her kitten in her mouth. 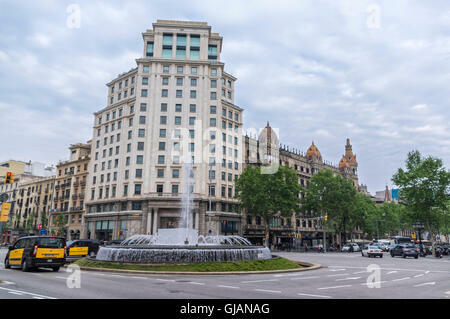 View of the city center and business district of Barcelona, Catalonia, Spain. 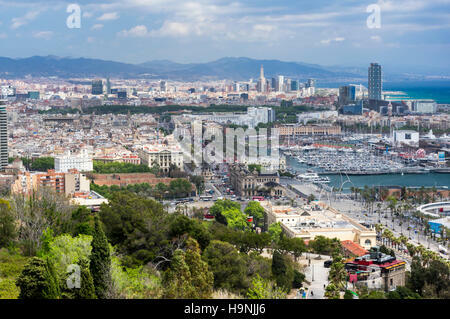 View of the city center, waterfront, and small boat harbor of Barcelona, Catalonia, Spain. 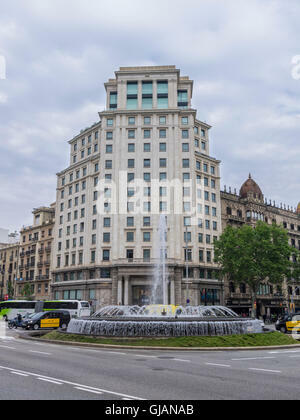 Building and fountain on Passeig de Gràcia, Barcelona, Catalonia, Spain. 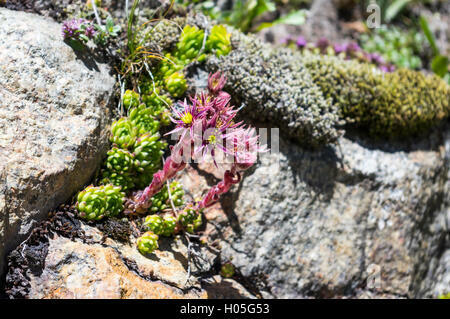 Common houseleek (Sempervivum tectorum or Sempervivum alpinum) flowering at 2000m altitude on rocky ground in the Swiss Alps. 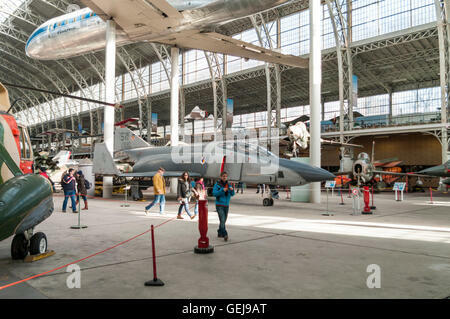 McDonnell Douglas RF-4C Phantom II No 68-0590 jet fighter and other aircraft in the Brussels Air Museum. 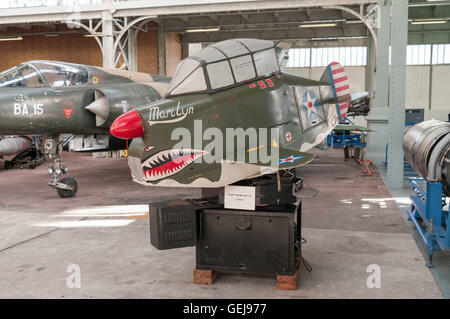 Link trainer ANT-18 (Army Navy Trainer model 18), a vintage pilot trainer built in 1943, serving as instrument flight simulator. Steam locomotive A 3/5 No 705 'Zürich', built by SLM in 1904. 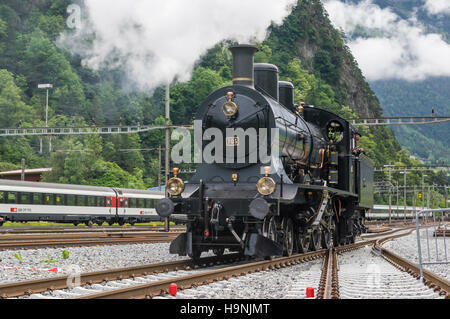 Operated by SBB, the Swiss Federal Railways between 1904-1964. 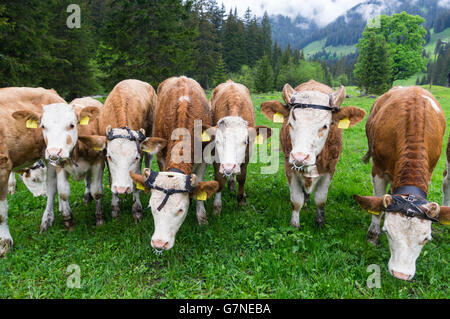 Young Simmentaler Fleckvieh cattle (Bos taurus) with wooden horn guides for nice horn growth and nose rings to stop weaning. 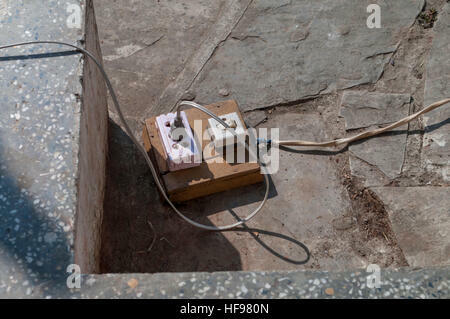 Rustic trailing power socket with a power switch, assembled on a wooden board. Myanmar (Burma). 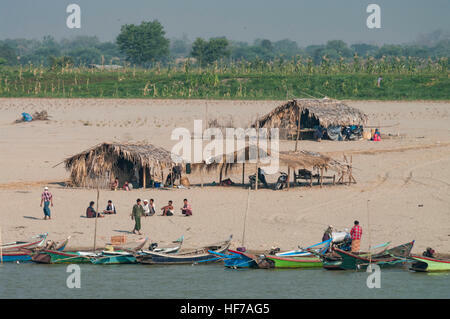 People living on the sandy banks of the Irrawaddy river in Myanmar (Burma). Tank wagon of the firefighting and rescue train LRZ 14, based on a Windhoff MPV. 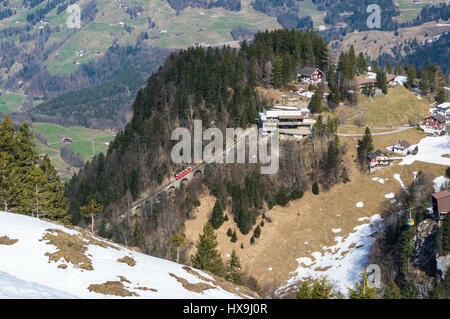 Operated by SBB, the Swiss Federal Railways. Firefighting and rescue train LRZ 14, based on a Windhoff MPV. 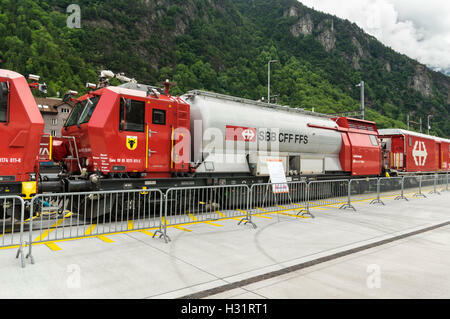 Operated by SBB, the Swiss Federal Railways. 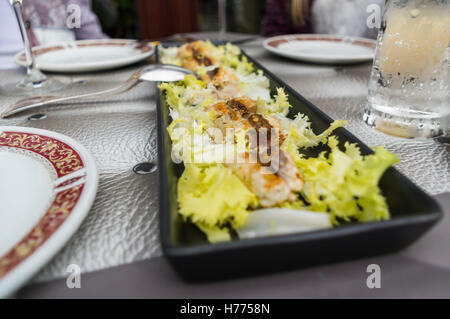 Fish starter plate at an Italian restaurant in Liguria. 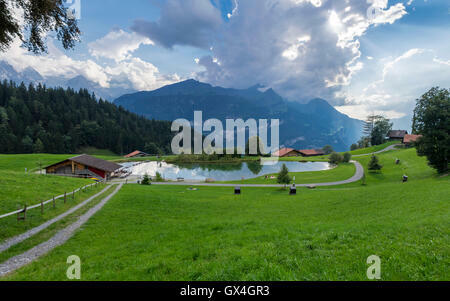 Small bathing lake in Hasliberg in the Swiss Alps. 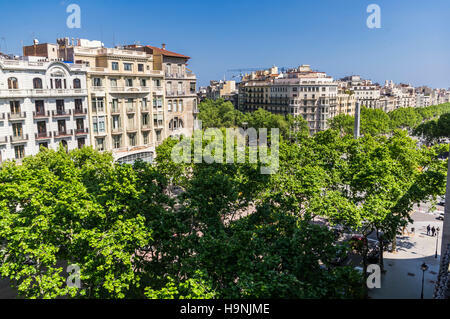 Tree lined alley Passeig de Gràcia in Barcelona, Catalonia, Spain; seen from above. 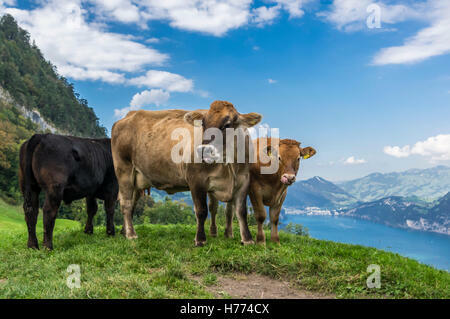 Cattle (Bos taurus) in summer on a meadow in the Swiss Alps. Lake and mountain backdrop.